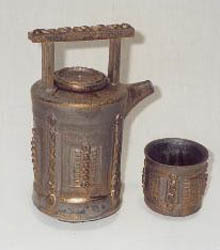 Pottery Glazes Interest Lone White. 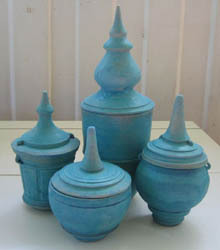 Developing pottery glazes has become an abiding interest for ceramicist, Lone White. 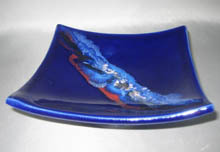 While studying ceramics at Cairns T.A.F.E, she became entranced by glaze colours and effects, so undertook a specialised course in “Stoneware Glazes”, designed and conducted by Ian Currie from the Kelvin Grove College in Brisbane. 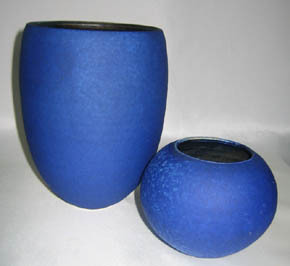 So what is a pottery glaze? 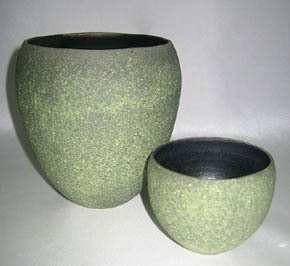 Sometimes it is matte, sometimes semi-matte or glossy but the role of the glaze is to seal the body of the form, usually inside and out, with an impervious coating. 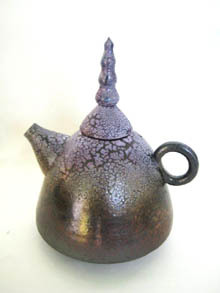 Usually a glaze is applied to a 'bisque fired' object then re-fired at a much higher temperature, depending on the glaze used. 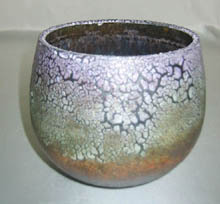 Of course, some glazes are more aesthetically suited to certain forms - eg a heavy looking, rough textured 'coral' form would need a different glazing effect to a delicate, sparkling porcelain cup. Lone's current concerns are to develop form to fully exploit a special effect – using crawling, chrome and matte glazes. 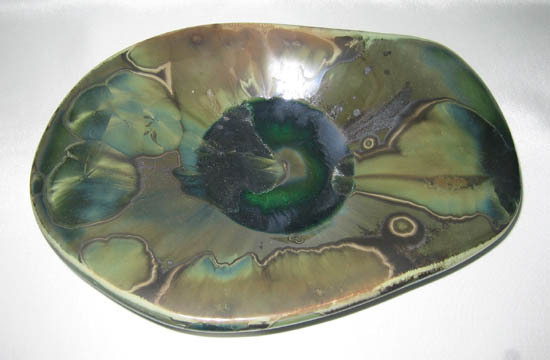 Other recent works have been inspired by the tropical reef and rainforest using paper clay and matte glazes. 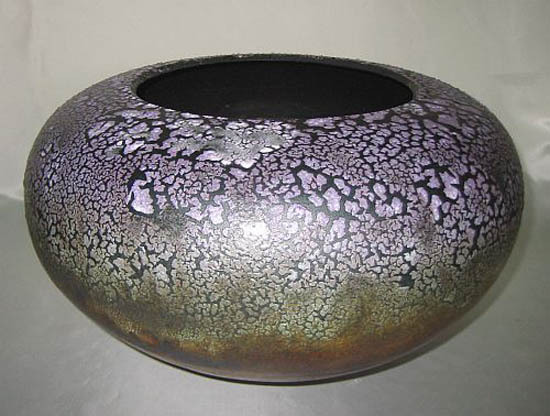 Thus the journey takes the viewer through a colourful landscape of glazes – Crystalline, Shino, Bronze, Gloss, Semi-Matte and Matte glazes, with forms reflecting her surrounds and world travel. 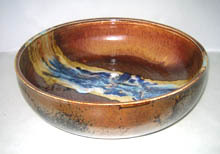 “I love playing with glazes. When I learnt that changing the proportions of the main ingredients in a glaze e.g. the glass forming compound, the flux to lower the fired glaze and the refractory element to stabilize the glaze, I found that I had a new world to explore.